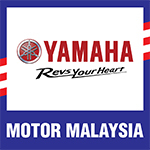 SUNGAI BULOH, 08 JUNE 2015 – Hong Leong Yamaha Motor Sdn. Bhd. (“HLYM”) today, introduced the Yamaha MT-07 locally assembled model, a 4 stroke, 689 cc liquid cooled, 2-cylinder engine with fuel injection motorcycle. The MT-07 motorcycle is the third locally big bike model assembled at the Sg. Buloh factory after the XJ series (XJ6, XJ6 Diversion, XJ6 Diversion F) and its predecessor, the MT-09. The versatile MT-07 naked bike is designed to bring fun, affordability and enjoyment back to the streets, from its deep torque through to the agile chassis. Equipped with a compact and lightweight chassis for remarkable agility and easy handling, MT-07 is also outstandingly economical. The new and locally assembled Yamaha MT-07 is priced at RM35,296 (inclusive of 6% GST, excluding road tax, insurance and number plate) and is available at selected authorised Yamaha dealerships nationwide starting from mid June 2015. It is also available in two color choices – Deep Armor (Violet) and Extreme Yellow. The introduction of the Yamaha MT-07 will offer customers a bigger variety of bikes to choose from that can match their discerning lifestyles and riding preferences.